From local sourcing to scratch cooking, sweetgreen is changing the way our generation looks at food. When Nicolas Jammet, Nathaniel Ru, and Jonathan Neman couldn’t find healthy and affordable restaurants around their school, Georgetown University, they decided to take matters into their own hands and create their own. 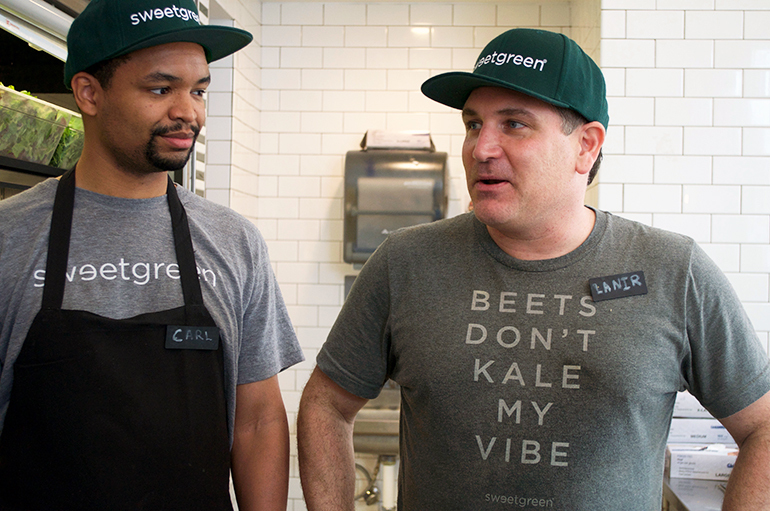 Born was sweetgreen, a salad chain that focuses on much more than creating salads. 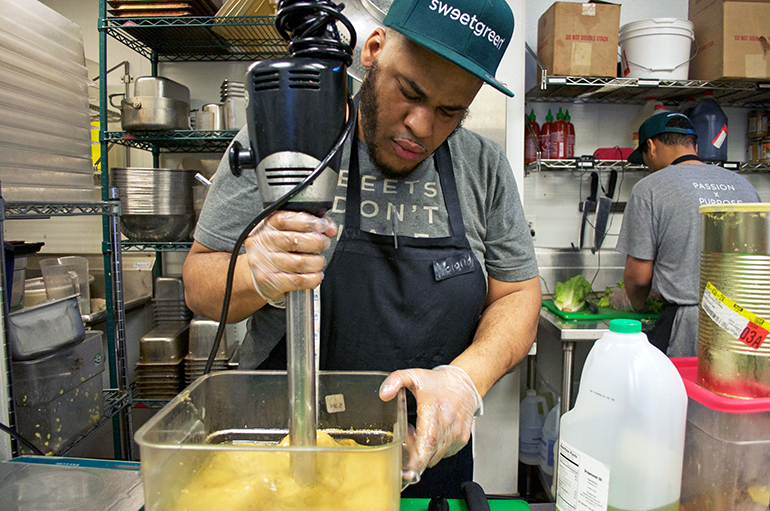 I took a “Behind the Greens” tour of sweetgreen and learned about how the company is taking the food world by storm through its local sourcing, scratch cooking, and aim for sustainability and transparency. After seeing the hard work that is put into each salad, I was truly inspired. The company commits itself to transparency in its food: customers know where their food is coming from and how it’s being made. 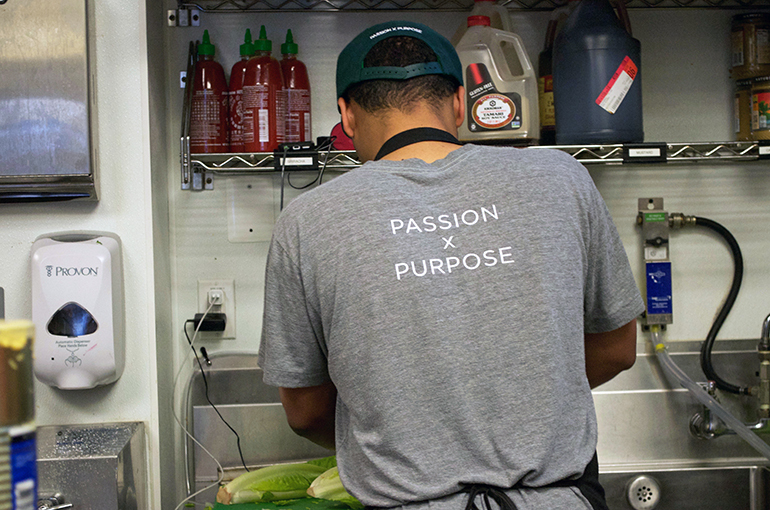 Each day, workers arrive well before opening to manually prep everything, from the roasted chicken to the salad dressing, so customers always receive the freshest food possible. Sweetgreen also dedicates itself to sourcing most of its food locally, in order to help local farmers and the community. “The company takes a different approach by getting to know the farmers first before putting in orders, and we shape the menu around what the farmers are growing. We get to know our producers and their farming methods before selecting them,” says Drell. A relationship between local farms and the community is key. 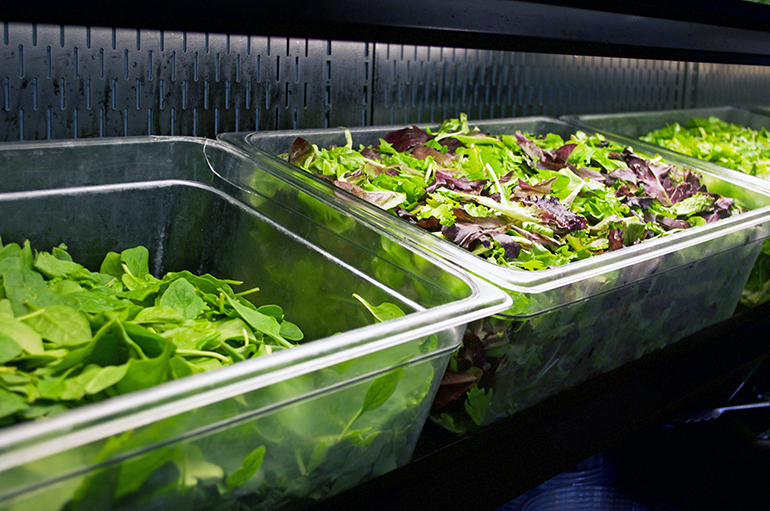 Each sweetgreen location has its own set of local farms and businesses, which are proudly displayed in each store. 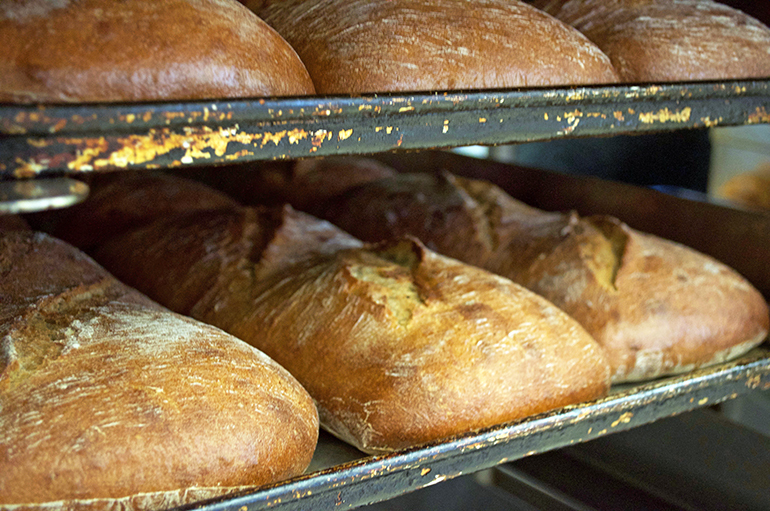 For example, goat cheese for the DC area comes from Firefly Farms in Maryland, and bread is baked fresh for NY locations at Sullivan St. Bakery. Why do all this? “Because what we eat and where it comes from have powerful consequences on the health of communities and the planet. We need to be more conscious that food is much more than eating,” Drell says. Our generation can change our local economies and the way food is produced, as long as we pay attention to where our food is coming from and how it’s being made. The best part of the tour? 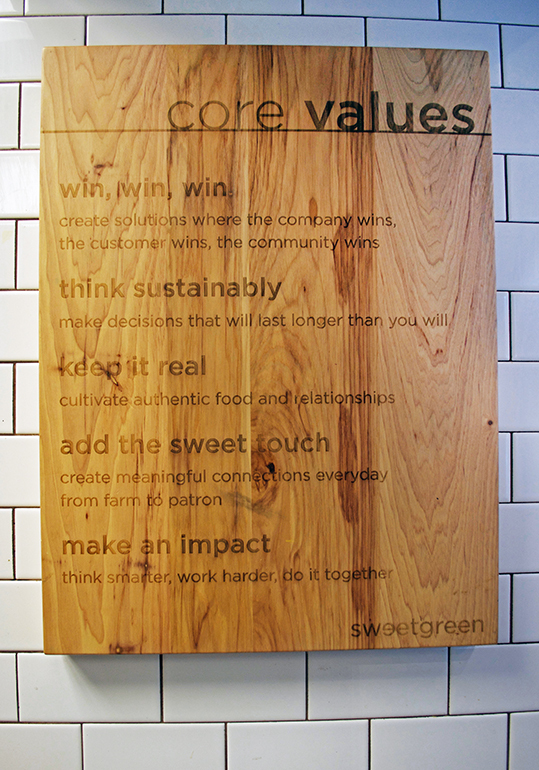 The manager’s “sweet-talk:” an inspirational message on what sweetgreen is and what it stands for, and how it aims to give its customers the best meal possible. Oh, and that I got to taste everything as it was being made.